There’s snow on the ground and the temperature is below freezing, but the 1st grade class is “thinking Spring” today. Tissue flowers can stand the cold. Tissue papers come in so many beautiful colors and the combinations of colors will make each students art unique. This project is easy and lots of fun. 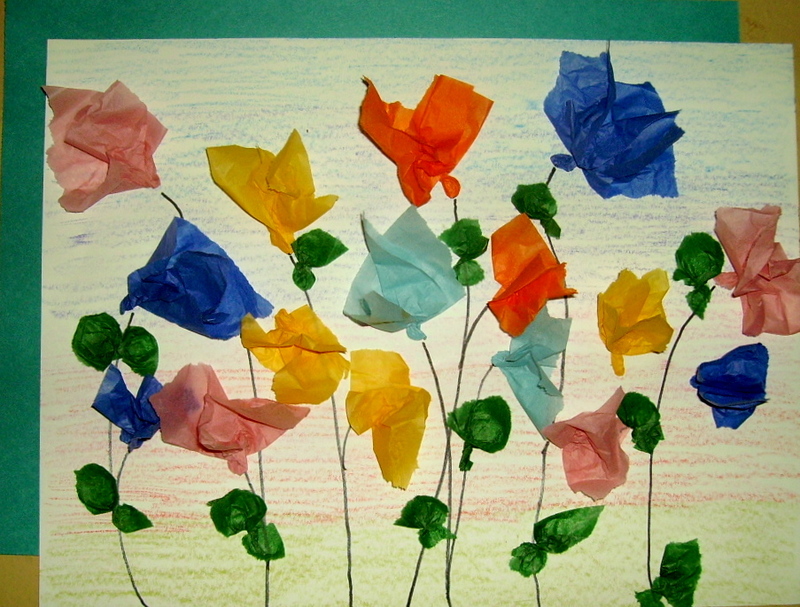 You’ll find the directions for this project, “Tissue Flower Collage,” in the 1st Grade Projects Gallery in the sidebar. This entry was posted in 1st Grade and tagged 1st grade, art and crafts for children, tissue flower collage, tissue flowers, tissue paper, tissue paper crafts for kids, tissue paper flower art. Bookmark the permalink.